Instead of my usual story, I decide to show you these Marshmallow Reindeer. To say they were a blast to create, would be an understatement. It took a little bit to figure out the right materials, the various steps and the best way to assemble each part. So where did this inspiration come from? It was a holiday song about Rudolf The Red Nose Reindeer that was playing on my iPhone. 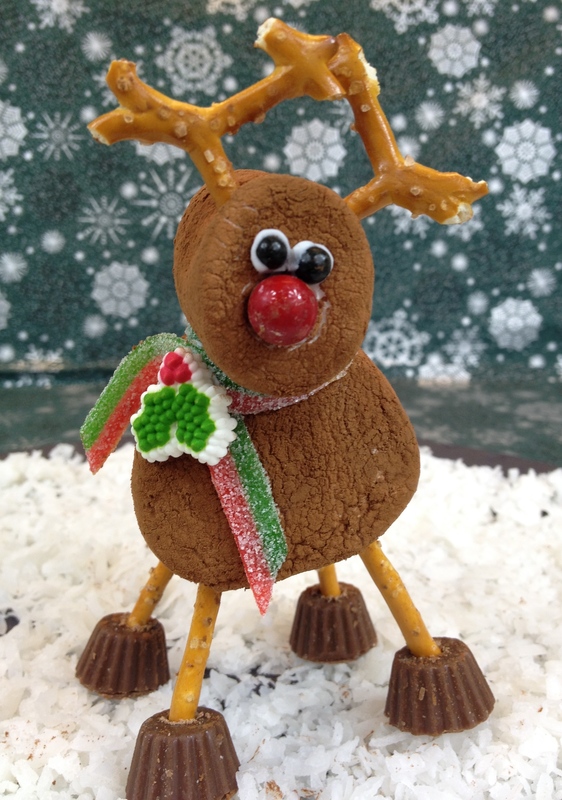 These Marshmallow Reindeer make a really fun centerpiece for a family meal or gathering. If you can part with them, give a marshmallow reindeer to each guest to take home. Ingredients: Make as many as time and supplies allow. 2 Sheet pans lined with paper towels. Scarf: Select a length of sour strip about 6 inches long. Cut in half lengthwise. Antlers: Cut off the outside pieces of the tiny twist pretzels leaving a Y shape. Tail: With your kitchen sheers cut off a small wedge form a regular marshmallow. Tail, Head & Body Coating: Place a ½ cup of cocoa powder in a gallon Ziploc bag. Rinse the outside of the tail piece, jumbo and regular size marshmallows with water to make them a bit sticky. Drop the sticky marshmallow pieces into the cocoa filled Ziploc bag. Shake vigorously until completely coated. Gently shake off the excess cocoa in the bag then remove and place them on one of the sheet pan. Head: Place the regular size coated Marshmallow on the cutting board with the face side up. Create holes by pushing a toothpick in and out where the two eyes would go. Push a toothpick in and out several times where the nose would go. Place a tiny dab if white icing over the hole for the eyes. Gently press in the black ball. The white icing will ooze out around the black balls creating the whites of the eyes. Place a dab of chocolate icing over the hole where the nose will go and gently but firmly press the red ball into place. Create a hole with the toothpick where the antlers will go at a later time. Move the head to the sheet pan face side up to rest. Body: Place the Jumbo Marshmallow on the board to find the flat side. Squeeze a dab of chocolate icing near the end of the coated marshmallow where the tail would go and gently press the tail piece in place. On the other end not to close to the edge, create a hole with the toothpick where the head will go at a later time. Turn the body over and do the same thing with the toothpick where the legs will go at a later time. Be careful not to put the leg holes to far on the outside of the body. Set the body piece on the sheet pan. Legs: Place mini Reese cups on the board top down. Push a toothpick into the center of the candy several times to create a hole large enough to insert the pretzel stick. Squeeze a tiny dab of chocolate icing on the end of the pretzel stick and gently press into place. Assembling the Marshmallow Reindeer: Turn the body over and gently push each leg into holes of the body created for the legs. Holding the body, gently insert a pretzel stick into the hole of the body where the head will go. Put a dab of chocolate icing around the based of the inserted pretzel. Now gently push the other end of the pretzel in the hole of head. Push together until connected. Stand the reindeer upright at this point. The next step is to place a few dabs of icing around the neck of the reindeer. Wrap the sour strip around the neck. Place a dab of icing where the strip overlaps and press. Place a dab of white icing on top of where the two strips overlap and press the holly piece in place. Cut off the excess strip ends. The last step is to gently insert the pretzel antlers into the created holes on top of the head. Final Step: Place completed reindeer on a tray in the refrigerator to allow the whole piece to set. You can place them in a cupcake or cake holder to keep fresh. Notes: It’s important the do each step in order presented. It makes this fun project go much more smoothly (trust me). I use pretzel sticks as connectors so that the whole thing is editable and for safety, especially with little children. For ease, I use the cake decorating icing in a tube. If you don’t want to use the tart candy ribbons, you can use fruit rollups or a regular curly ribbon instead. You can add a bit is confectioners sugar to the cocoa powder to sweeten the coating. Because of the cocoa, this can be a bit messy so wear an apron, make sure your work area is clear, and you have plenty of space. The sheet pans really help keep the mess down. If you wash your hands between steps, make sure they are completely dry before handling any of the coated marshmallows or you’ll wind up with more cocoa on you and your hands and less of the marshmallows. I know these Marshmallow Reindeer may sound complicated, but they really aren’t as long as you follow the steps. I just wanted to provide detailed instructions to make sure you would have the best opportunity for success and provide an easy way to go about assembling these cute Marshmallow Reindeer . 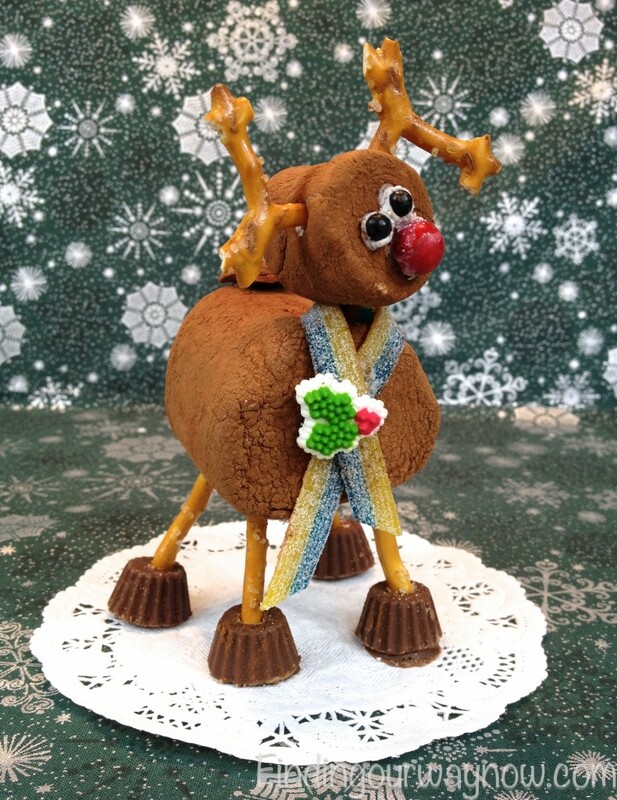 These Marshmallow Reindeer would be a great project to do with your kids or grandkids, heck any size kid for that matter. 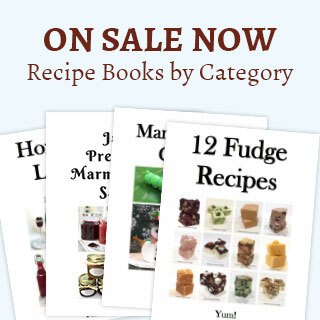 They also make great gifts from your kitchen, or are great for an editable centerpiece for your table. As I said before in my Marshmallow Snowmen project, make your list, check it twice and have some fun. 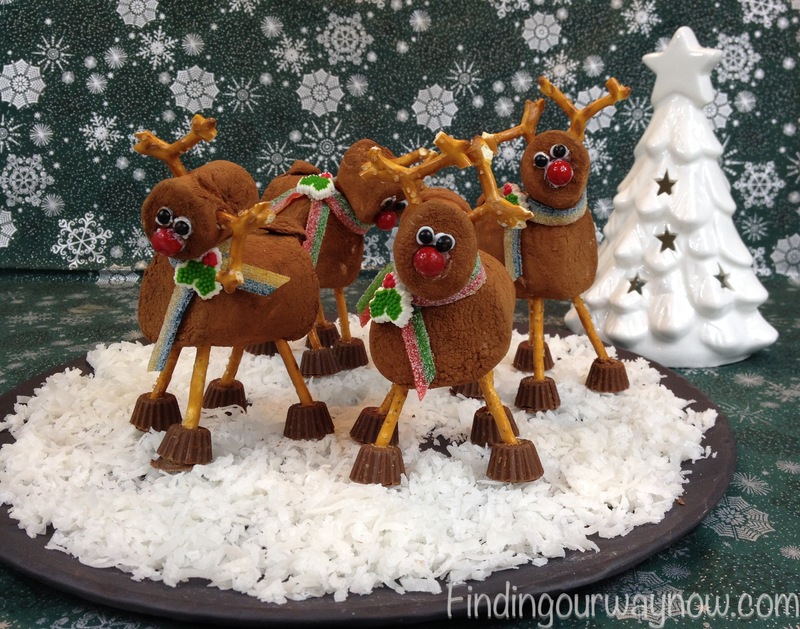 If you enjoyed these Marshmallow Reindeer, check out some of my others such as the Marshmallow Bunnies, Halloween Spiders, Marshmallow Snowmen & Gift Idea Recipes From The Kitchen.